The name Polychromos, meaning "many colours", was born in 1908 and became known across several continents. 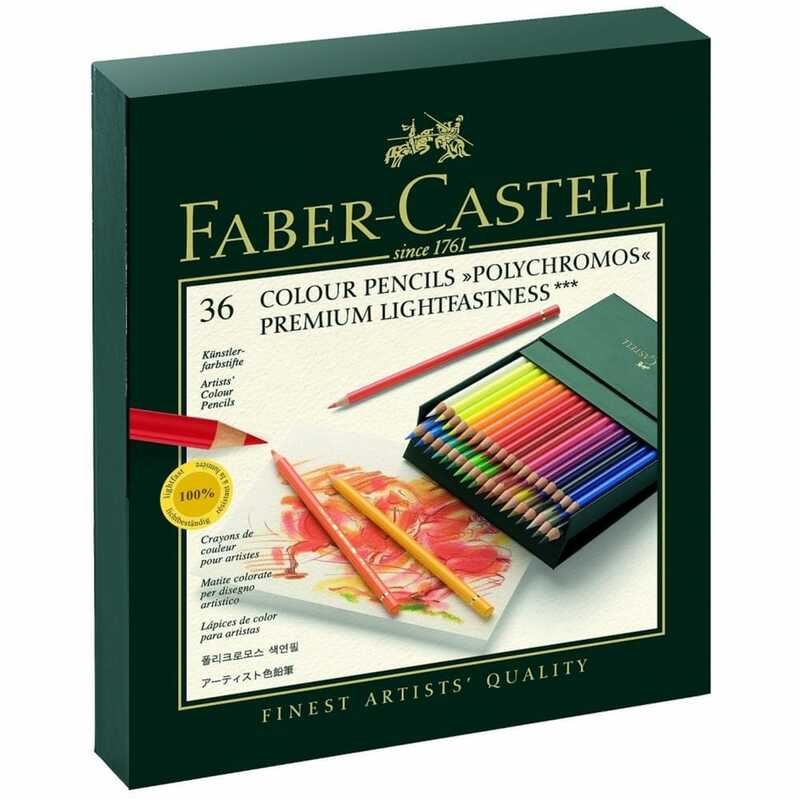 Today the name still stands for best of class quality including; unsurpassed lightfast pigments, vibrant colours, break resistant tips, waterproof, non-smudge, and colour matched to all other Faber-Castell lines. Contains 36 high quality coloured pencils in a smart presentation gift box.